Around these parts, all you really have to do in order to start us clapping and giggling is mention the name Godzilla. 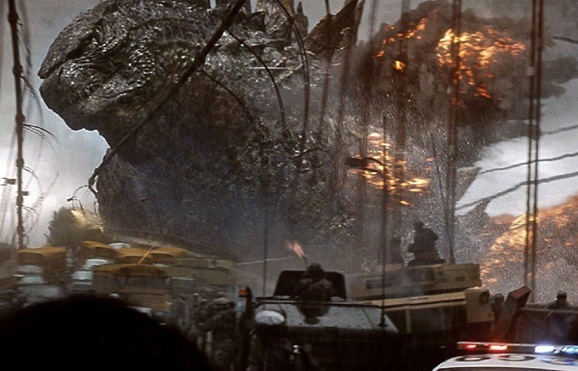 After Roland Emmerich’s 1998 attempt to revitalize Toho’s iconic franchise, we’ve all been understandably gun shy, but everything we’ve seen from director Gareth Edwards’ upcoming reboot has gone a long way towards assuaging those fears. So far, in fact, that the movie is one of our most anticipated films of the year. Last week saw the premiere of more than half a dozen TV spots, plus an awesome extended look. 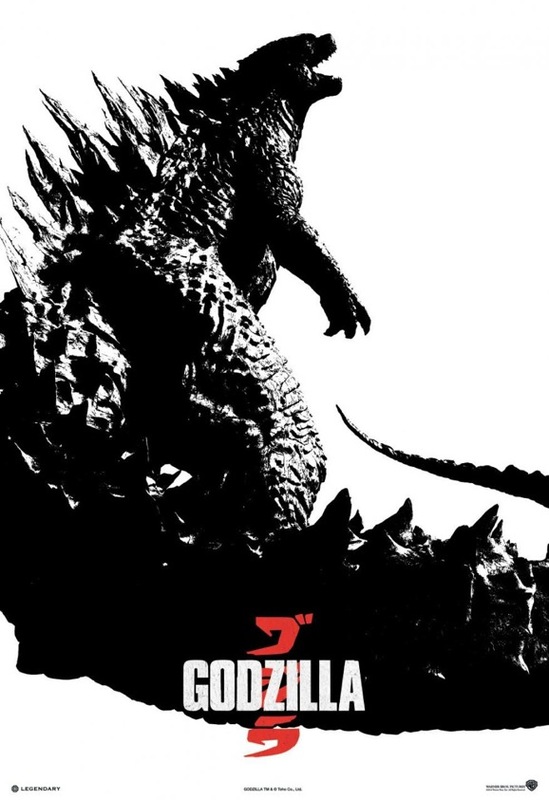 Because we can’t go an entire week without any Godzilla news, we’ve got a new picture and cool new poster. This new photo gives us our best look yet at the King of the Monsters, and it is good. You only see him from about the middle of the chest up, but considering that the view is from what appears to be the Golden Gate Bridge, and that he towers over that structure, he’s pretty damn massive. And the creature design is incredible. He doesn’t look like a dinosaur or some random lizard, no, this is what Godzilla is supposed to look like. Maybe this is just me, but, even with tanks blasting away at his face from point blank range, you can’t help think that Godzilla looks a little bit bored. His eyes are closed, he doesn’t look particularly excited to be there, let alone worried by this puny little human attack. You know, he’s just hanging out, stomping through one of the biggest bridges in the world. No big deal, that’s how he rolls. As fantastic as this photo is, this new poster is every bit as good. The sharp contrast of the black and white pays homage to monochromatic origins of the titular radioactive beast. The Japanese style of the art is also a nice nod to his roots. This is actually something the last Wolverine movie did. The roots of that story lie in the Land of the Rising Sun, and after a few standard one sheets, your usual fare, they released on with at similar motif. The story is described as, “An epic rebirth to Toho’s iconic monster, the new adventure pits the world’s most famous monster against malevolent creatures who, bolstered by humanity’s scientific arrogance, threaten our very existence.” From what we’ve seen, there’s even more going on than this. There are some family issues in play as multiple generations feel Godzilla’ impact, and there appears to be just a touch of personal revenge thrown in for good measure. Godzilla stars Aaron Taylor-Johnson, Ken Watanabe, Elizabeth Olsen, Juliette Binoche, Sally Hawkins, David Strathairn and Bryan Cranston, and storms into theaters on May 16.